This year we were only going away for a week, (had to cancel due to hubby being in hospital) so I was determined to try to just take two cases between the four of us. Im not sure if its even a remote reality, but it got me thinking about what I actually really need to take, and slim my holiday packing down to just essentials. It is a challenge that I will resume for our next trip, but for now I thought I would just share some holiday must haves. A couple of years ago, I decided that I was going to buy myself a new pair of sunglasses at the airport each time we go on holiday. I never owned decent sunglasses until then. I always bought cheap ones from various clothes shops. I always decide what pair I have my eye on (pun intended) then buy at the airport. You can still get a little discount through duty free, not loads, but every little helps! Last year I bought the Dior ones, the year before, the Gucci. I take both pairs away with me as I like the Gucci ones for day, (they dont have the nose plasticy bit, that grabs your hair if you put your glasses on your head and pulls it out, I know you feel my pain long haired ladies), and the Dior ones are my early evening ones. 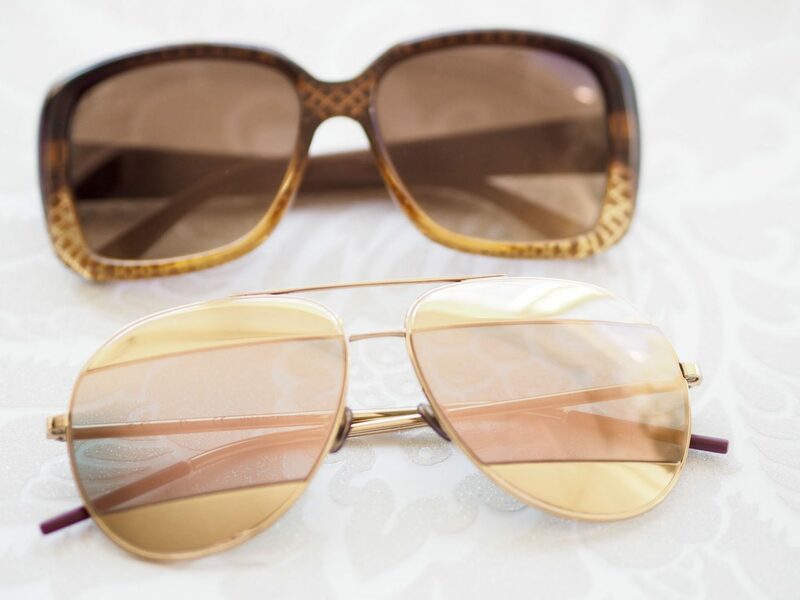 This year, I had my eye on a Chanel pair that I tried on in Sunglass Hut. Although Im not going away now, we may head off between christmas and new year all being well, so I have them in my sights still. If Im on holiday somewhere really hot, I prefer to take a perfumed body lotion with me as opposed to perfume. My skin can be a bit sensitive, and the heat can make it more so. I like to take a couple of gorgeous perfumed body lotions with me as my evening perfume as I find its a much softer fragrance and lingers all night. If I do want a stronger scent, I spritz a bit of perfume on my clothes rather than my skin. 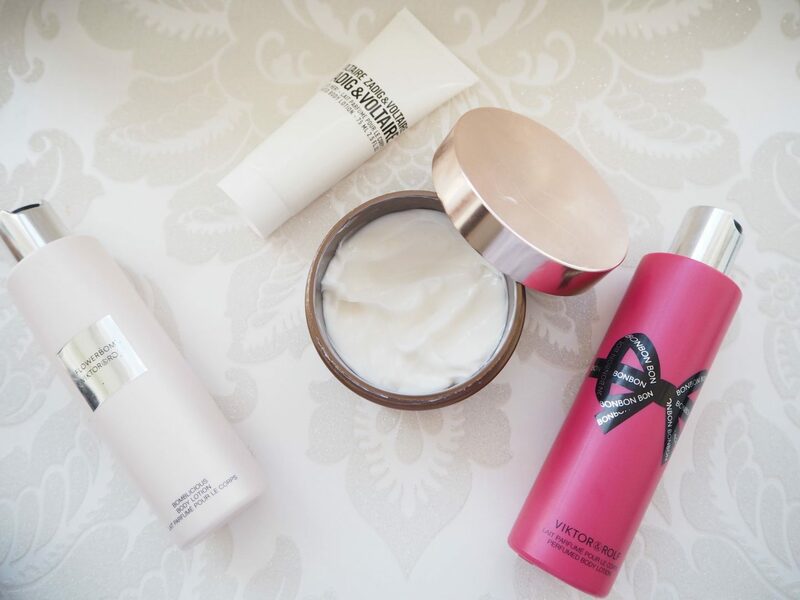 These body lotions tend to be a staple in my summer packing, all leave my skin soft, hydrated and scented. I bloody love books. They give me life. I have a huge collection of non-fiction books, but always read novels on holiday. I have been known to get through 6 books on a two week holiday! I will always make sure I have plenty of good reading material to hand on my holidays, but always open to any recommendations of novels you have enjoyed. Let me know. Being a make up addict, I get excited by all the new make up launches in the summer. I literally spend 3 hours in John Lewis or Boots, salivating over the new goodies for us to indulge in. 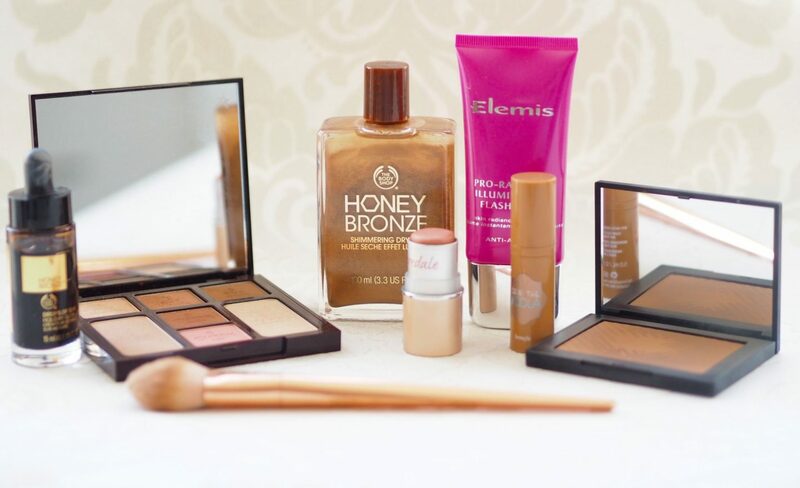 Highlighters, shimmering lotions, radiance boosters, Im drawn to them all! Some of the items that I buy for my summer make up look make it to the heady heights of staples in my make up bag, the posts listed below detail some of them if youd like full info. I lived in Australia years ago, and they were just adopting their slip, slop, slap philosophy, so it was heavily advertised everywhere. It is drummed into my brain! It meant slip on a cover up, slop on your factor 50, slap on a sunhat. I always, without fail have a sunhat on in strong sun, and never, ever put my face in the sun. Thats why I love summer make up launches so much! I think I have an issue when it comes to buying cover ups. I have a gazilion! Years ago, when I was young slim and toned, I would have a differant bikini and matching sarong for every day of my holiday. I was obsessed! Now days, its all about praticality, but I do still like a differant cover up every day. I have a penchant for white, embroidary englais and tassles. Not sure what thats all about, but there you go, thats my thang! I have brought some lately that are colourful, so Im expanding my repotoire people, Im trying. Another thing that I cannot live without on holiday is my lip balm. I am a collector of them as I hate the feeling of dry lips, and mine dry out flying, let alone when I get in the sun. 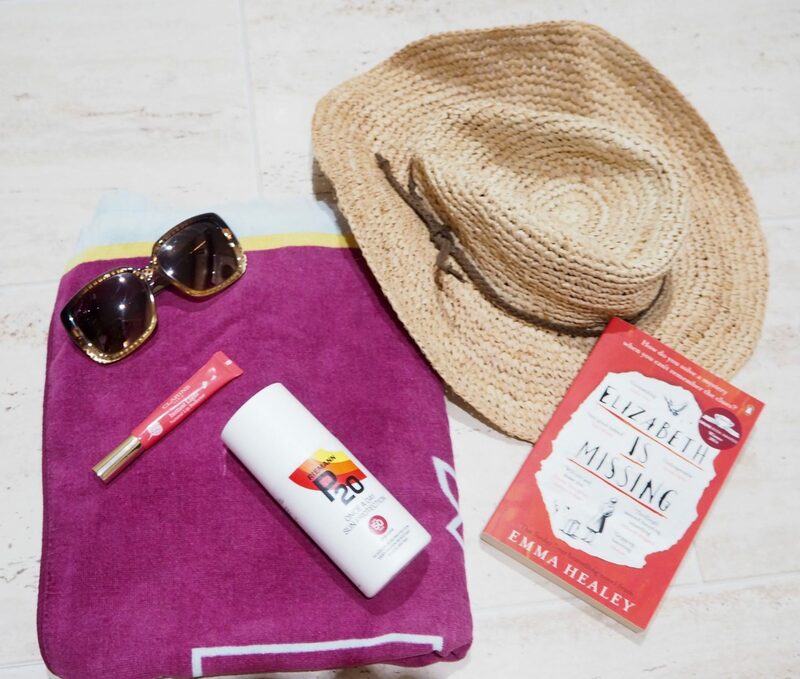 I have tons of lip balms, but these ones from Clarins are probably my favourite pool side ones. They are ultra moisturising, have a slight vanilla scent and taste, and leave you with a wash of tinted colour on your lips. Very much recommended. In the past, I have always just used my phone on holiday to take my snaps. Since buying my Olympus Pen, I have banged on about my growing love of photography (I think Iv made it clear and we all know that its my destiny to travel the world as a wildlife photographer) I have therefore promoted my trusty Pen to the heady heights oh a holiday essential. I want to get some beautiful pics of my travels. (best let my husband take the pics then hahaha) In all seriousness, I really like the idea of having a photo/memory wall in my office of holiday photos that I have taken. My camera will help me get started! So thats it. 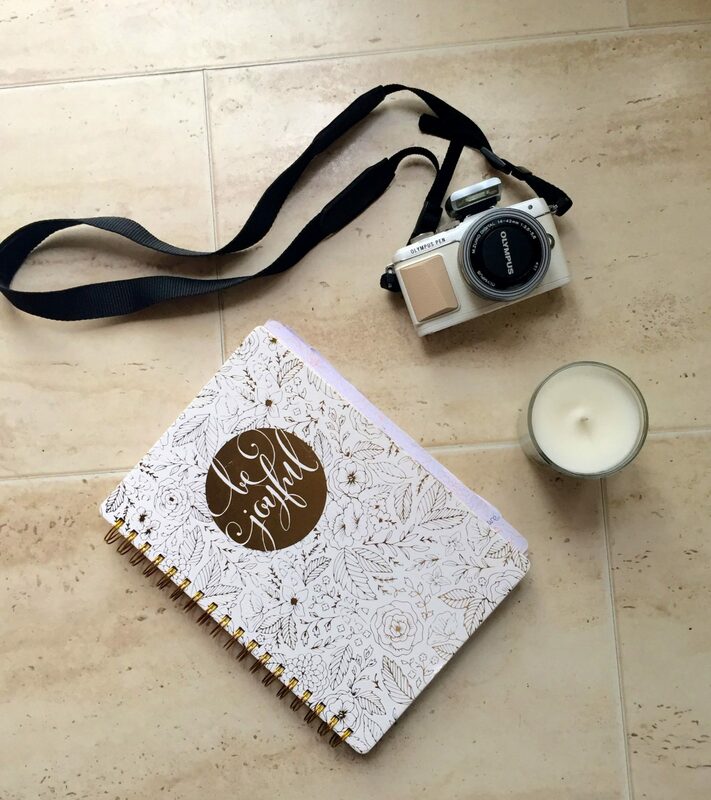 My items that I literally couldnt live without on holiday. Chuck in 57 changes of clothes, 4 pairs of shoes and the rest of the make up I own and the job’s a goodun…………..
"Kiko Haul – First Impressions"
I was terrible when I was crew I literally took everything away with me haha even one time me and my housemate had a weeks trip to the Maldives and took our toastie maker, bread, cheese, beans etc with us hahaha! Thanks for visiting x. I love it. Im very new to photography, so when I bought it I did a course with Jessops to understand it more, which really helped. I really have a growing love of photography now. I have the EPL 7, but I know the 8 is out now. they are great cameras. Thank you! Im really going to give it a go, it s crazy what I take, then bring back unused or unworn! Great essentialts! This post makes me want to be somewhere sunny, my camera is definitely a priority wherever I travel! Ohh this is a great list of essentials! I’ve never actually been on holiday (shocking I know!) but the bf and I are going to Portugal next year to visit my sister so I’ll definitely be referring back to this! Looooove the CT palette, it looks perfect for summer! 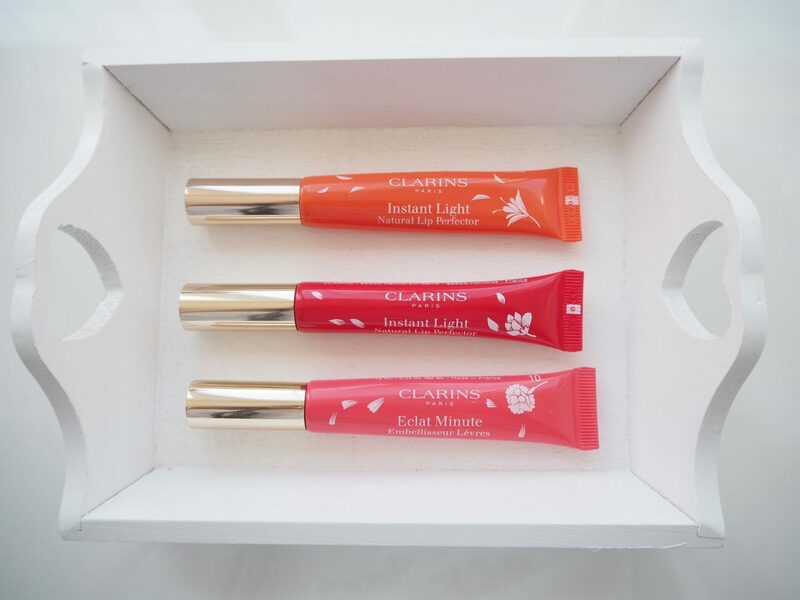 And really like the sound of those clarins lip balms, I’ll have to try them out as I’m lip balm obsessed too! I also purchased some proper sunglasses. I went for Ralph Lauren Polo, they really do make a difference! No more quinting for me. I wish I could read as many books as you, I’m more of a music listener. I read one book in Ibiza! One essential I take, is tiger balm, to repair my mozzie bites! and also my sarong. Great to just throw on and off to get up from sunbathing to the loo or the bar!! I can’t travel without packing a comfy outfit like leggings and a sweatshirt. I drive a lot and always have an outfit like that ready in the car for long hours on the road. ahh the honey bronze collection, I really love the smell of these and I’m surprise how good the wash off tan actually is! I’m with you on the books, I’m blessed with my kindle, it’s saved me many kgs in suitcase space! Hi, thanks for visiting x. Yes Kindles are great for holidays, totally agree.